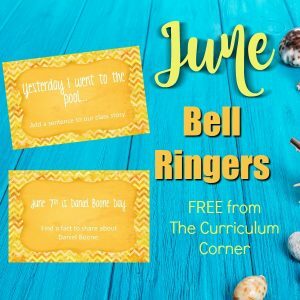 This collection of bell ringers includes a set of free bell ringers for each month of the year, part of our free resources for teachers collection. 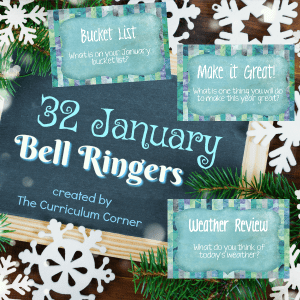 We have created a set of bell ringers for each month of the year. 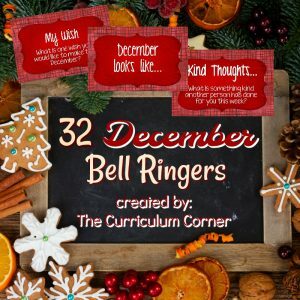 These prompts focus on special holidays, celebration and other unique events that occur during each month. 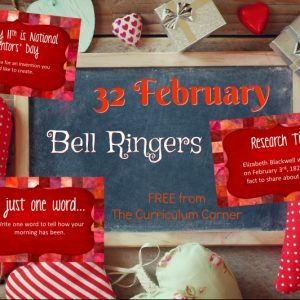 Within each set you will find a selection for those schools who do celebrate holidays such as Halloween and Valentine’s Day. 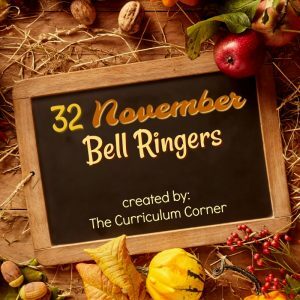 However, we have worked to make sure that the majority of bell ringers that we have created will fit into any school environment. 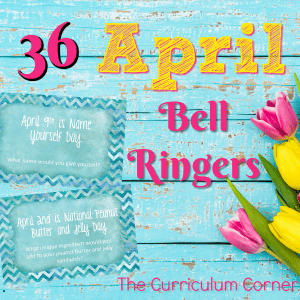 You will find that a few bell ringers repeat each month. 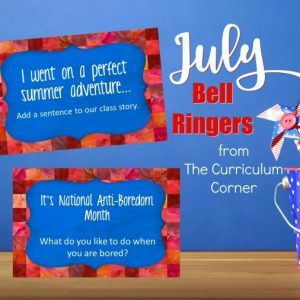 The remainder will be unique to the month so that students will often be encouraged to think about a new topic. These are designed to print two on an 8 1/2 x 11 page. Print, laminate and cut apart. You might choose to store them in a binder with a pocket for each month. Or, put each set into a file folder. 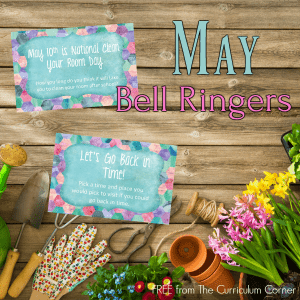 Bell ringers are designed to be an easy, getting ready to learn task. 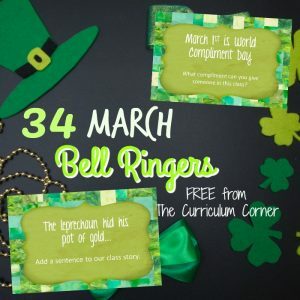 Choose a spot in the classroom where you will display your bell ringer each day. We like the idea of using a chalkboard if available. 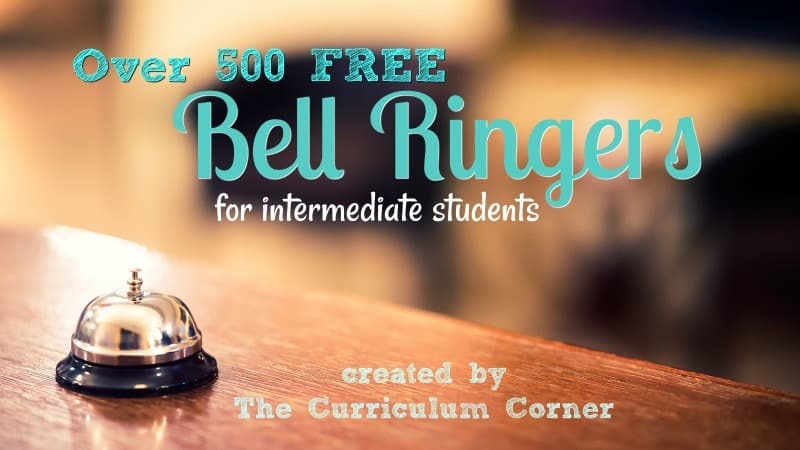 Another idea is to place the bell ringer on a blank wall and then ask students to place post it notes with their responses around the bell ringer. 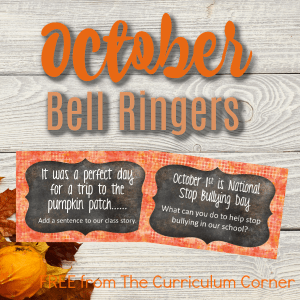 We find that students often to see the response of the teacher so take time to answer the question each day! 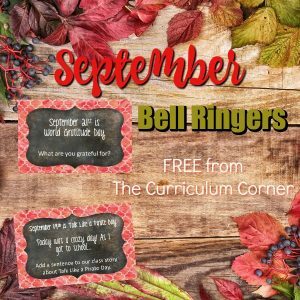 You can find the free, monthly bell ringers below. Click on each image to go to the post and find the set for the month. 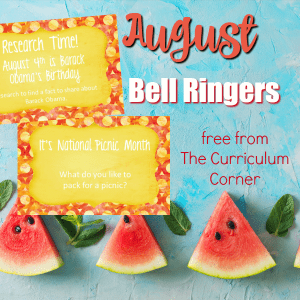 Make sure you bookmark this post so that you can easily find it each month. Not sure how to bookmark?